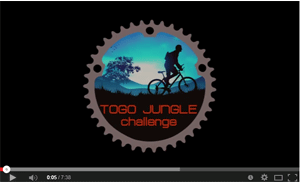 Togo Jungle Challenge is a Belgian organised, mountain bike marathon in the heart of West-Africa (Togo & Benin). 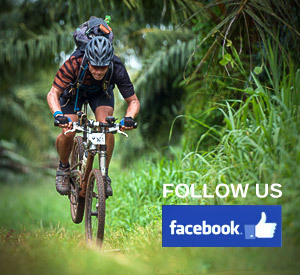 A boundary breaking challenge awaits the sportive participants: the completion of 7 stages, all together 650 km of single tracks across the wilderness, jungle, savanna, tropical forests and rivers. The challenge starts in Kpalimé, about 100 km north of the Togolese capital Lomé. 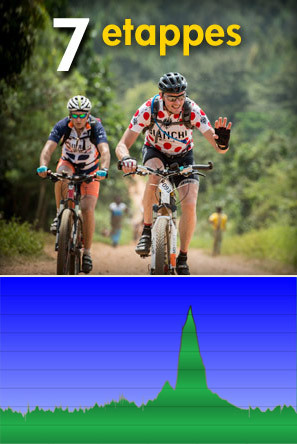 The participants will journey through seldom used bush tracks, lush green mountains picturesque valleys and woodlands. The finish is foreseen on the white, sandy, palm tree covered beach of Grand Popo. With a daily average of 85 km, a very hot and humid climate, accompanied by more than 5,500 meters of climbing, an extreme challenge is guaranteed. Speed however is not important; everybody cycles at their preferred pace. The goal of the 150 (allowed number) mountain bikers is to just complete the 7 stages. The Togo Jungle Challenge stands for an unforgettable adventure, a unique African-experience and an overdose of physical effort, team spirit and fun. A European organisation team of 30 people, incl. doctors & cooks, will assist the challenge. Brussels Airlines, our partner, takes care of the transport of people & bikes.